The thirid annual Duluth Winter Village 2018 is at Glensheen on Saturday, Dec. 1 - Sunday, Dec 2, 10a.m. - 5 p.m.
Winter enjoyment, comradery, gift shopping and the holiday spirit collide in this free destination event. With over 40 vendors bringing their wares and good cheer to Glensheen, there is something for everyone, young and old. You can take home the flavor in Duluth in locally crafted gifts from Hucklebeary, or simply enjoy the experience of a sauna with Hiki Hut, lunch served up by Northern Waters Smokehaus and visit with the llama at Cook' Country Connection. Come by foot, bike or taxi, or find free parking with free shuttle service from Duluth East High School and from UMD, Lot B. Only handicapped parking will be available at Glensheen. We spoke with organizer Mallory Moore of Duluth Loves Local and with a new local vendor, Emily Ekstrom, of Hucklebeary on Superior Street. 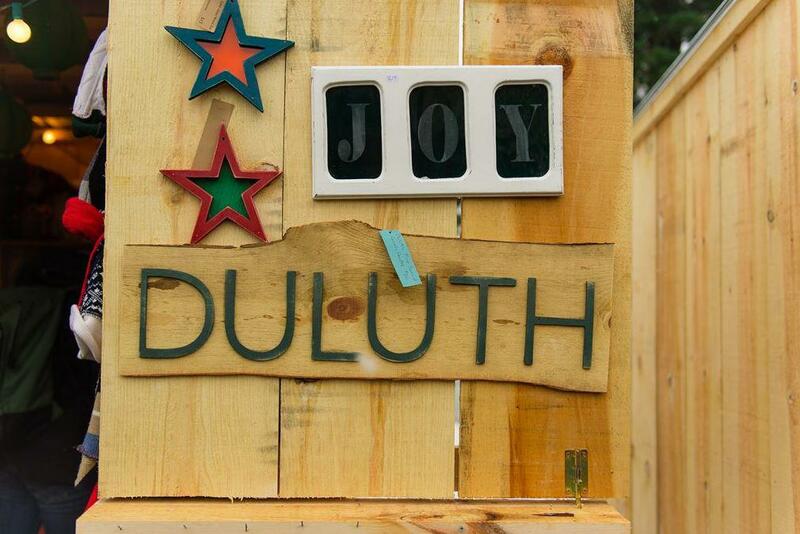 Listen for more information about attending the Duluth Winter Village at the links below. Back in the day, the Congdon family converged on Duluth to celebrate the holidays at their favorite winter estate in the Christmas City. The Glensheen Congdon Estate has continued to celebrate the holiday season in grand style and this year adds a family friendly addition to their holiday displays. This week listen for great art project ideas for the kids. Long-time pre-school and art teacher Shirley Morton joins us to share crafty ideas for kids home on winter break. In 1974, a group of Northland folks interested in weaving, knitting, spinning, wool dyeing and the like formed the Duluth Fiber Handcrafters Guild. Perhaps it was just an offshoot of the back-to-the-land movement of the '70s, but over 40 years later, they're still going strong.